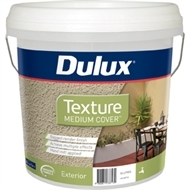 Dulux Texture Medium Cover is a flexible acrylic texture applied directly from the bucket by mitt application. A range of effects can be easily achieved by finishing with a lambswool hand mitt applicator, sponge, brush or broom. 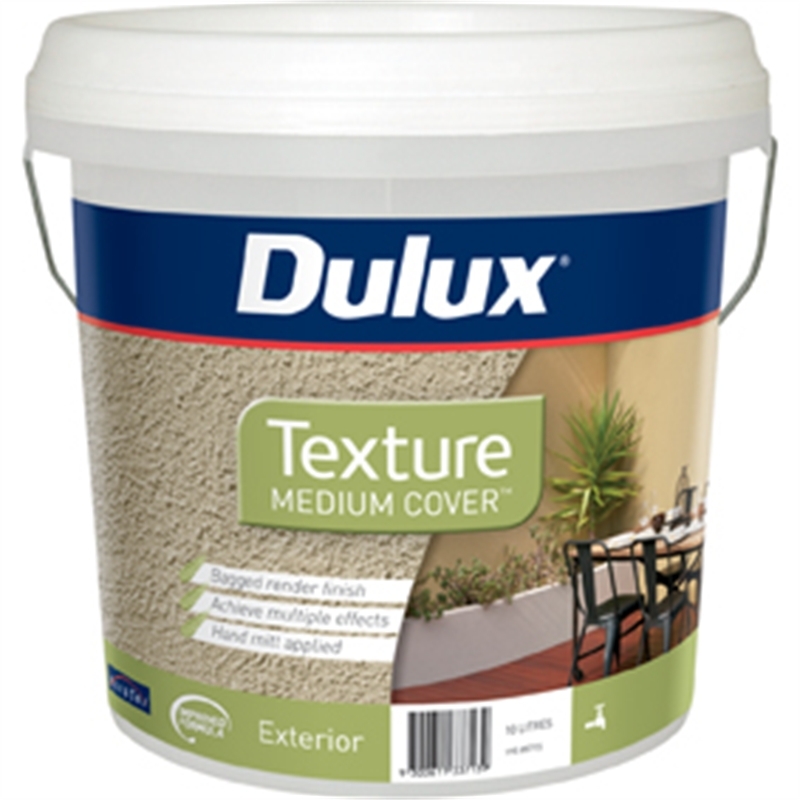 This traditional bagging texture is used to create a coloured mottled appearance over brickwork, diffusing, but not completely hiding the brick pattern. 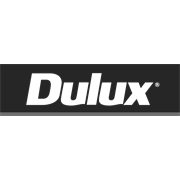 It can also be used to create a textured effect over smooth masonry surfaces.